Success is the result of perfection, hard work, learning from failure, loyalty and persistence. Heartiest congratulations to the winning team for their spectacular achievements. Undoubtedly this journey of massive success had gone through a spiny ways of difficulties and a memorable experience. Let’s capture and pen down this experience in the words of the real warriors of this battle. 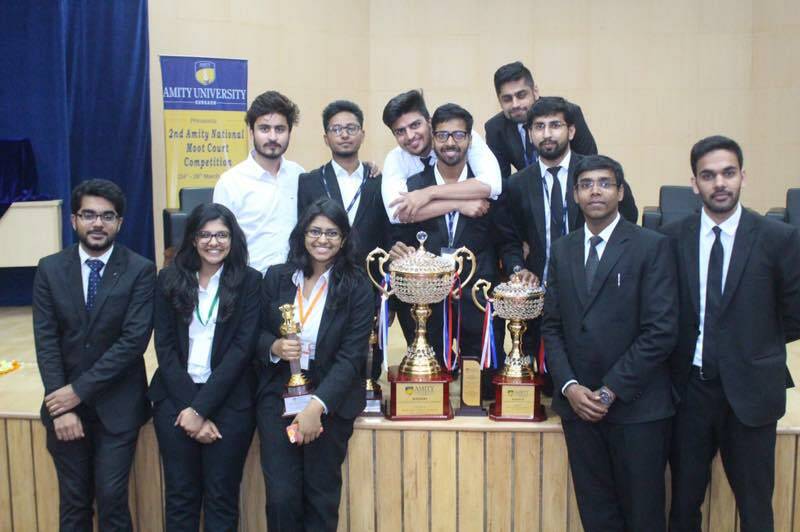 Here is a small interview from the participants of the winning team of 2nd Amity National Moot Court Competition 2017, Gurgaon. Ques 1: What made you choose this particular moot in the first place? 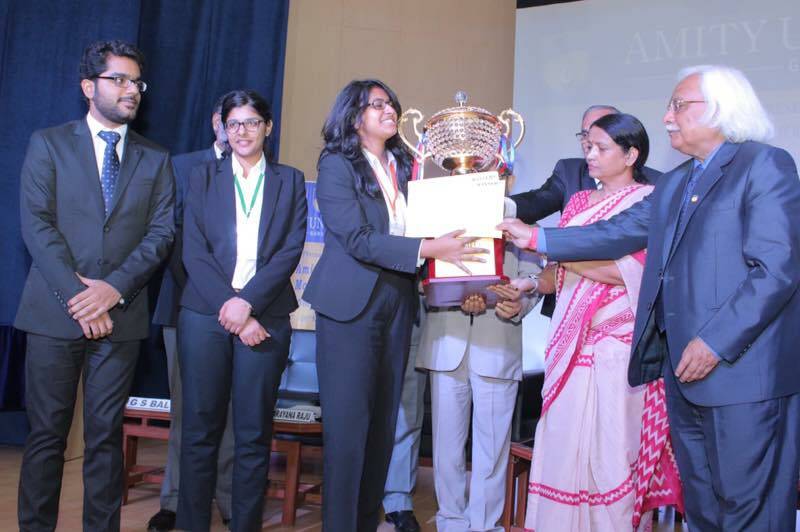 Khyati: Amity being such a prestigious moot. It was an honor for us to participate in this moot. Raina: Personally, I always look at the subject of the moot while considering it. The subject of the present moot was constitutional law and the sub-topics were three very pertinent issues: Section 377, The Surrogacy Bill 2016 and Uniform Civil Code. Being passionate about all three issues, I decided to take it up. The dates were favorable as per my college schedule as well. Rohan: My interest in Constitutional Law made me choose this moot. Ques 2: What was the process of your preparation? How did you go about it? Khyati: The process of preparation starts from the moot proposition which is to read the moot problem as many times as you can and then framing the issues after that come drafting of memorials from both sides and finally practicing for the pleadings. Raina: The preparation for the moot was a long and arduous process which extended roughly over 4 months. Since we had our winter internship break when we were allotted the moot, we started off with skype sessions and regular discussions. Eventually, when all three of us reached college, there was a more structured preparation process. All three of us started off with the basics which included the moot proposition, a study of the relevant statutes, jurisdiction issues, etc. After ample discussion, we framed our issues and started working individually on our own issues. We held regular team meetings with our strategist to discuss the progress in each issue. In the end, the research for all three issues were compiled, discussed and eventually drafted. Rohan: Preparation involved lot of research before memo submission followed by extensive pleading sessions before the oral rounds. Ques3: How important is the essence of team effort during moot preparations? How was it like working with your team? Did you have conflicts? How did you resolve them? Khyati: Whenever you are heading for a group competition the basic element is to work as a one and not as different individuals. My experience of working with my team was overwhelming. We all three did not have any conflicts with each other. Raina: Since a moot is essentially a form of competition that required group work, team effort is extremely crucial. It is very important to have a clear delegation of work to avoid overburdening or overlapping of research within a limited time frame. Since three of us are not in the same academic year, there was difficulty in fixing time slots to hold discussion sessions or coordinate with each other. With passage of time and increase of stress, we all automatically gelled well together as a team and worked together. By the end of the competition, it was marvelous to see what a long way we had come as a group. Rohan: A moot win is definitely not possible without good team dynamics. Individual talent will end in smoke if there is not a sense of togetherness amongst the team mates. Working was fun but not without conflicts and disagreements. But I think we were able to solve it without wasting much time since we became good friends in the preparation process. Ques 4: How many teams were you up against in the competition? Which team would you consider to be your toughest competition? Khyati: There were about forty teams in the competition. 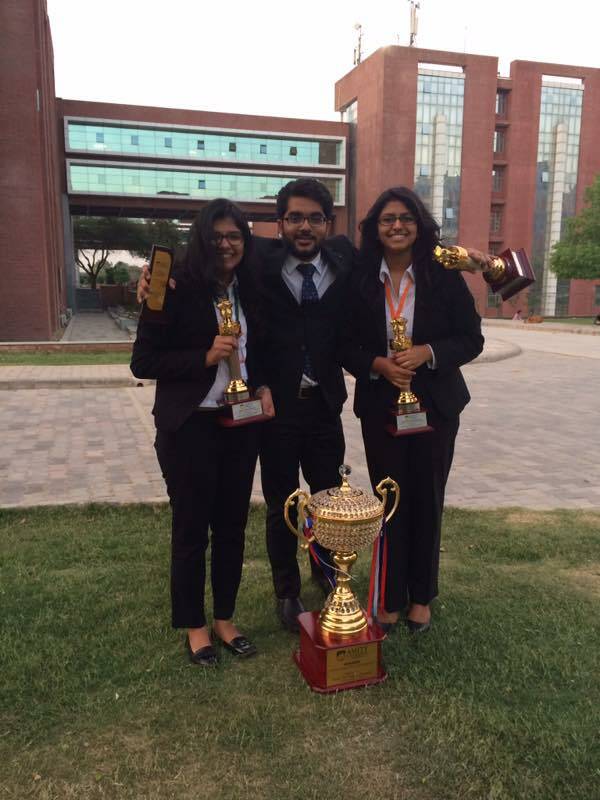 The toughest competition for us was with the RGNLU Patiala. Raina: The competition started off in the prelims with 40 teams. Including the finals, we had oral rounds against five teams. Personally, I feel the toughest team was the team we faced was in quarter finals which was NLU, Ranchi if I’m not mistaken (the colleges were not disclosed to us). Rohan: There were 5 rigorous rounds of pleadings ( including the final round). So effectively, we went up against 5 teams out of the 40 which had participated. The toughest comepetion in my opinion was NUSRL, Ranchi. Ques 5: How was the final round and who were you up against? How would you describe the opposing team? What were the techniques to crack it up? Khyati: The final round was the toughest round, we ever against RGNLU Patiala. The opposing team was according to me the toughest contenders. The technique to win the moot is only and only hard work. Raina: The final round was definitely nerve-wracking, more so since one of the judges was Justice Singhvi himself. We were up against RGNUL, Patiala. The opposing team was definitely well-prepared and it was evident in their oral as well as written submissions. It was quite a healthy challenge to be their opponents and it was tough competition. The technique to be ready against any team, I think, is making sure you are aware of all possible scenarios that might turn up in the upcoming oral rounds based on their written submissions which are normally always provided beforehand and preparing for the same. While oral submissions are crucial, rebuttals need to be given specific attention to since rebuttal sessions can make or break the situation for one. Rohan: The final round was the most grueling of all rounds since there was a constitutional bench of 5 judges headed by Hon’ble Justice G.S. Singhvi. We were up against RGNUL, Patiala, who were extremely good in my opinion. Our strategy was to stick to our arguments and prepare rebuttals before pleadings actually began by reading their arguments in their memorial. Ques 6: Students generally are scared when it comes to researching on certain topics in moots. How should a student go about when a moot is allotted to him? How should they research? Khyati: Research is a very important part in a moot. As stated earlier one should be thorough with the moot proposition and after that start researching. Research should start from grass root level and it should go with the theory of bottom to high. Raina: While I know research can seem like a daunting aspect of moots, one must look at it as an opportunity to learn. It becomes easier if the student takes personal interest in the subject and relates to it not just on an academic but personal level. Research is the most important part of any moot and thus one must approach this task in a very structured and organized manner. Since the information out there is vast, one has to narrow it down to the crucial points and try and interlink all these points. Maintaining relevance of research to the moot helps save time and prevents unnecessary or contradictory information. Rohan: Take help from seniors and faculty. It opens up your mind and gives you clarity in your research. Ques 7: How important is mooting in a law student’s career? What message would you like to give to the mooters and the non-mooters? Khyati: Every Law student should once in his lifetime experience what a moot is? So for all the mooters out there All the Best for your future mooting endeavors and all the non-mooters give it try everyone will love the experience of mooting. Raina: The importance of mooting in the career of a law student is a very subjective matter and is dependent on a number of factors, including chosen field and mode of practice, subjects interested in, future plans regarding further studies. However, all said and done, I personally feel that mooting is not merely a competition but is an enriching learning process simply because it helps one in understanding the practical aspect of the law that they are studying. Apart from that, it’s just a wonderful experience that helps one learn the importance of team work, perseverance, dealing with stress and hones one’s oratory as well as research skills. Thus, every law student must try mooting at least once in their law school career. Rohan: Mooting is a highly beneficial academic exercise because it provides the mooter with a lot of information during the course of research. Oral rounds give you a feel of court room proceedings . Law students must moot atleast once in their 5 or 3 year course. Ques 8: Final comments on the level of competition and the organization of the competition. Khyati: The level of competition was very high as all the teams were well prepared. The last but not the least the organization of the competition was commendable. 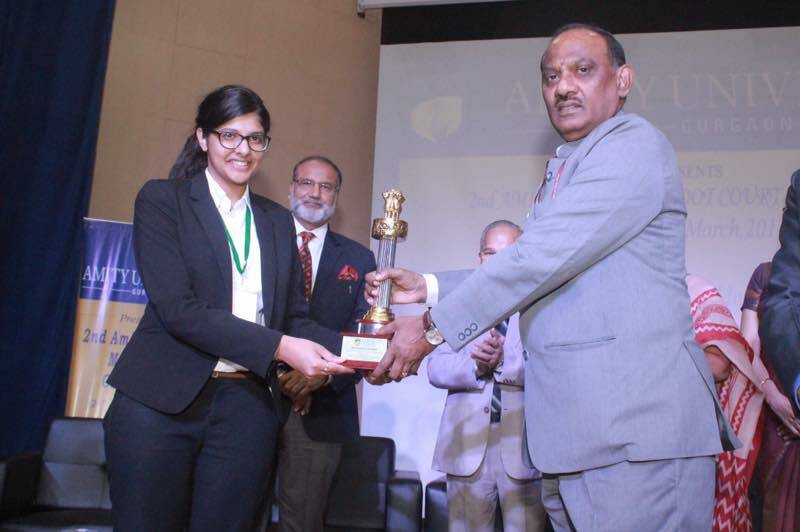 Raina: The competition was very well-organised and the credit goes to the faculty and student body of Amity, Gurgaon who were extremely supportive and efficient. Our team representative Akansha Singh definitely deserves special mention for her continuous support and help. The level of competition was definitely high and having observed most teams, the participants were extremely well researched and competitive. But the competition was healthy and enriching. Rohan: Competition was well organized and the evaluation was also fair and transparent. Ques 9: A quick comment on mooting at your college from each one of you. 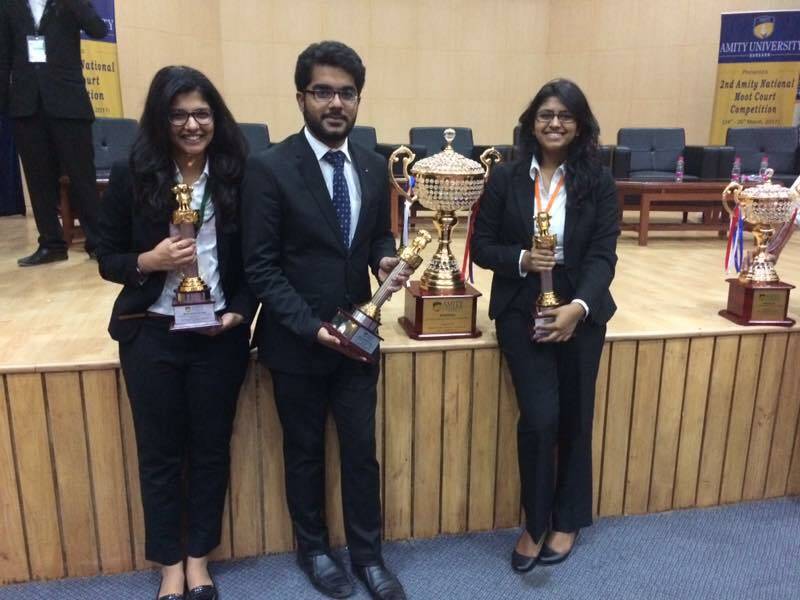 Khyati: Symbiosis Law School, Pune has set high bars for every college with the quality of mooters in every mooting competition. 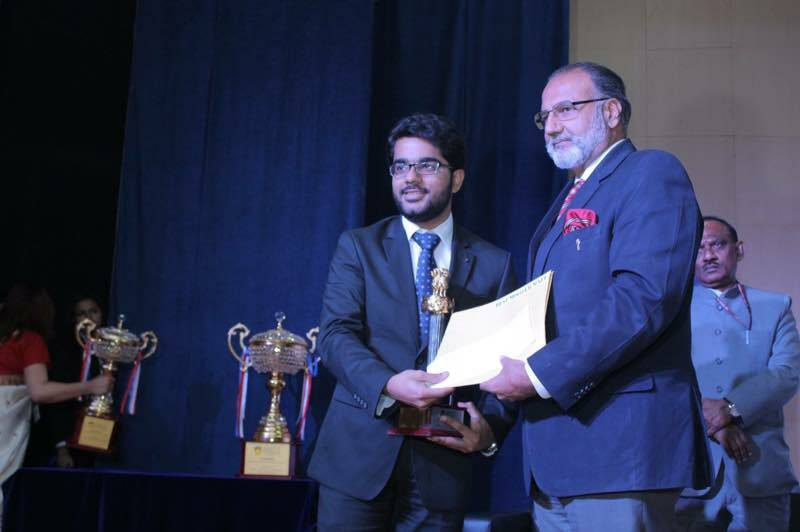 Raina: Our college follows an extremely efficient and competitive mooting culture as has been evident in the numerous laurels the students have brought in the near past in national as well as international moots. The allocation of moots is a smooth transparent process managed by the Student Bar Association. The strategists and seniors associated with the mooting teams are extremely supportive. Mooting is seen as an integral part of our law school career and students are always ready to put in their best for the same. Rohan: SLS Pune gives a lot of importance to mooting and teams representing college outside are taken very seriously by the Student Bar Association. Ques 10: How the faculty of your college helped you about the moot proposition? 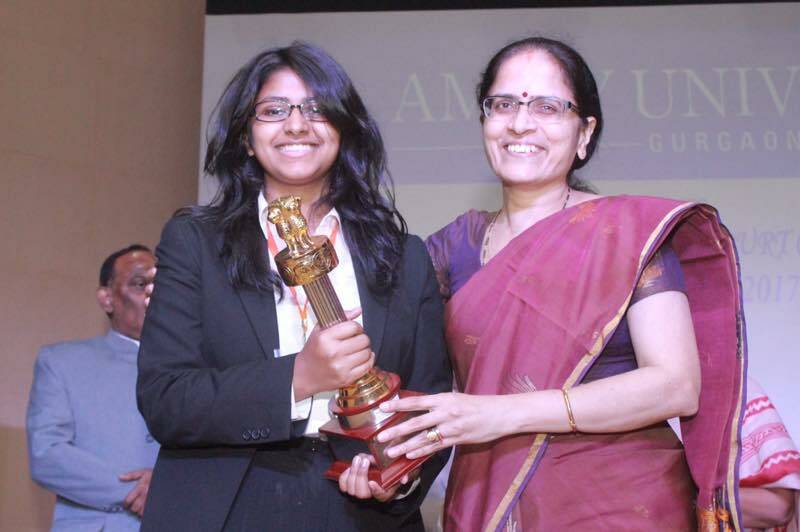 Khyati: One of the biggest hand in winning the competition is by the contribution of the faculties of our college. Raina: The faculty members of our college are extremely supportive when it comes to moots. The respective professors-in- charge of all subjects take it upon themselves to provide any sort of help possible within their limits and provide constant guidance throughout the entire process of preparation. Rohan: They were always ready to give advice on any deadlock which we faced while preparing for the moot.